ICE recently participated at the NAPA User Meeting 2017 held in Helsinki, Finland. The NAPA software is one of the many software packages in ICE’s inventory and is a key tool in efficiently developing early concept designs. The participation was part of ICE’s effort to stay in the forefront of concept design development. 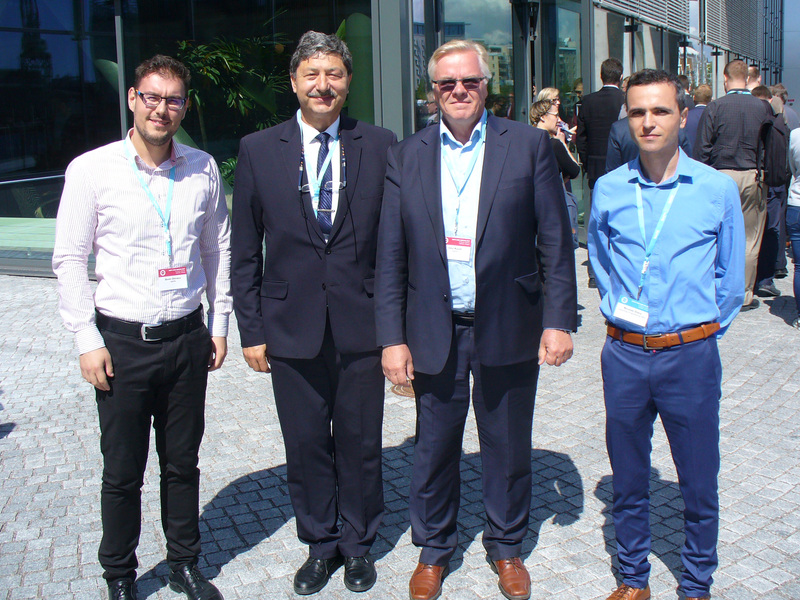 Pictured here from left to right are: Dorin-Iulian Chiracu, Team Leader, NAPA Service Desk Romania (and a former ICE employee), Cristinel Chiriac, Concepts Development Manager at ICE, Ilmo Kuutti, President of NAPA Group and Nicolae Olaru, Technology Manager at ICE.